I'm sorry I didn't take pictures while I was making these. You will have to access your imagination and we will do our best, here. They are pretty simple. 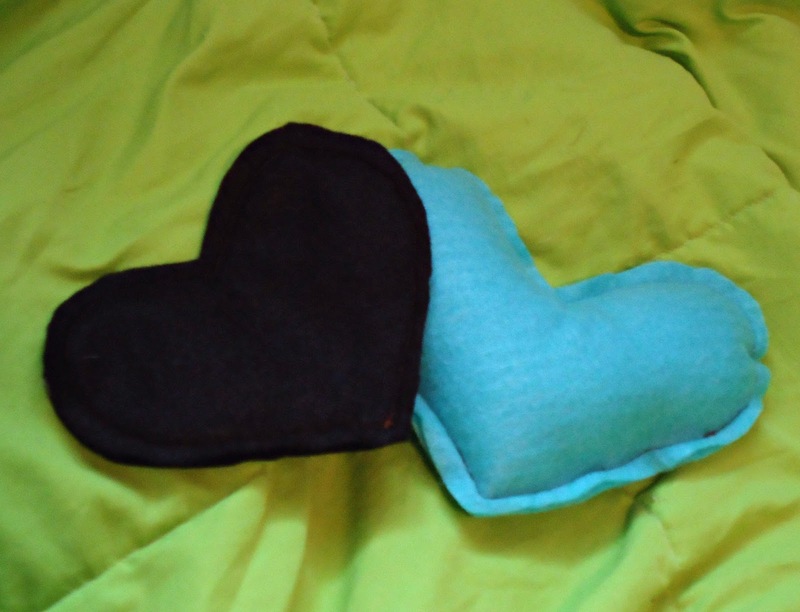 Cut 2 hearts out of the felt set aside for the crinkly heart. You want these hearts to be the same, so you will probably have to match them up and trim them to be the same. Cut a smaller heart out of your crinkly stuff. Sandwich the crinkly stuff inside the 2 hearts. Sew around the edge of the hearts and you are done! 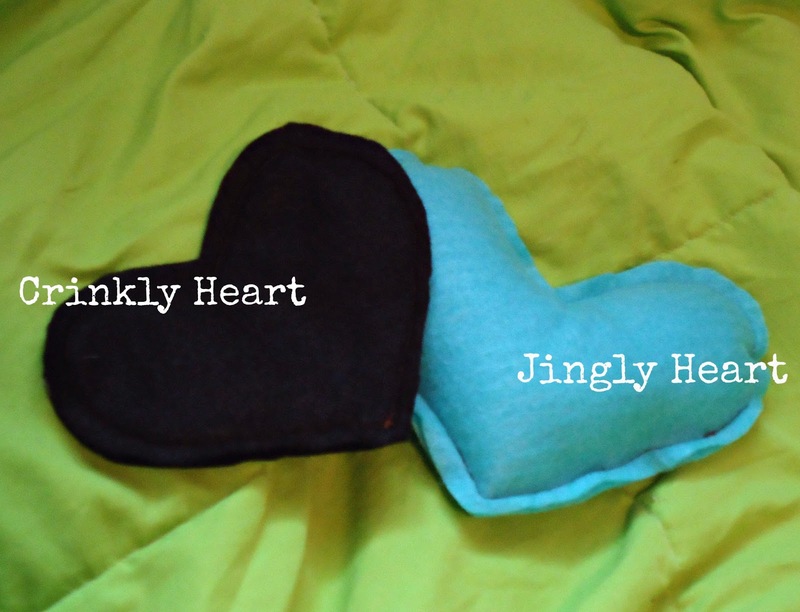 Cut 2 hearts out of the felt set aside for the jingly heart. Like before, you want these hearts to be the same, so you will probably have to match them up and trim them to be the same. Lay the hearts together (back to back). Sew around the edge of the hearts leaving and inch or two open. Jam bells into the fiberfill. I put like 6 in random places inside the heart to make it jingle all over. Sew up the hole and you are done! Now give them to your little one and let them play!